You may be surprised to learn that the one, and only, title that disorients me more than being addressed as, “Mrs. Corse,” is “teacher,” even when it was my technical label for ten years. That’s right, I will respond to, “Hey - You, Maria, Miss Maria (with less enthusiasm), or even Weirdo”; however, I will not answer, or even look up, if someone calls me teacher. In my mind, to be a teacher one must, well, intentionally teach. If you are interested, here are the Merriam Webster definitions and synonyms for teacher and teach. At this point, I want to be very clear, I am not, in any way, denigrating those dedicated individuals who do, joyfully, fervently, and contently identify as teachers. I am a decidedly independent (read - stubborn), hands-on individual, who learns by doing, but only when intensely interested in the subject at hand – not with direct instruction, rote memorization, or by reading text books. And, since I also firmly believe (based on a multitude of experiences) that authentic learning comes from intrinsic desire, developed and fostered in a safe, non-coercive, playful, and dynamic environment filled with resources and materials of the culture, as well as a supportive, mixed-age community, it would be antithetical, and, lets be honest, hypocritical for me adopt that classification. I do, however, proudly own the titles: mentor, facilitator, and guide. In those self-designated roles, I ask a million questions, listen carefully, and make suggestions. 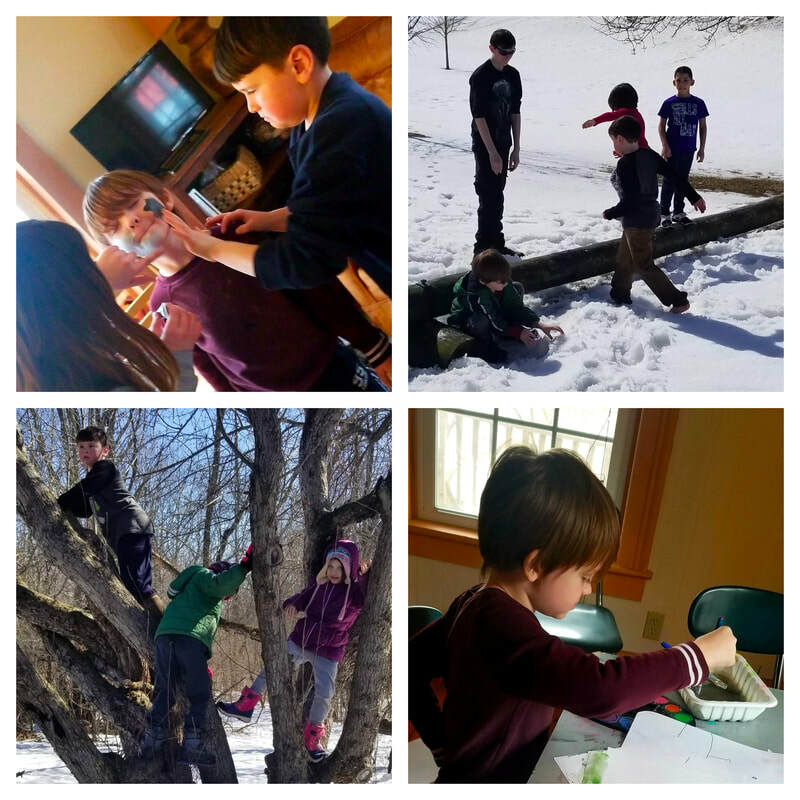 I nurture curiosity, open-play, intent observation, and investigation by providing the resources and opportunities necessary for each individual to freely explore their interests and make profound personal discoveries. I model compassion, kindness, empathy, spirit, and enthusiasm, as well as a willingness to make mistakes, laugh at myself, and attain valuable lessons from those errors in my pursuit of life-long learning adventures. I expect that every single person I work with is willing to embrace their uniquely, weird selves, and that they are going to be dedicated to their own education, invest energy in their personal growth, work toward their aspirations, get messy, and have a ton of fun in the process. Our stories - our combined voices are what make up this community. Every single one of us has lived a life-time before DRC (for some of us that amounts to many more years, than others). Those previous experiences inform not only our past tales, but present, and future narratives, as well. When we begin to amalgamate all those individual life-times into a shared tale, we not only discover the many differences that make us perfectly, unique, but also the uncanny mirror images that remind us of our interconnection and, yes, our shared humanness. When I ask all of our students to think about what DRC means to them, at this time of year, I discover that many of their responses reflect similar cravings and values: comfort, family, hominess, freedom, safety, and advocacy. These are basic human necessities. We all need to be heard, to have a safe place where we are supported to be our most awesomely, creative, distinct selves without fear of being judged or ridiculed – an environment where we have the freedom to thoroughly explore what truly delights us. After some time in this space, some are surprised to learn that they have hidden talents, others realize that they are in fact imaginative and creative after having that part of themselves buried or shut-down. Our strength comes from listening to and honoring all of our voices to create an organic community of kind, empowered, confident, empathetic, outside the box thinking individuals who know what they want and, if necessary, will change the world to make it happen. Deep Root Center is on Spring Break this week. We will be back April 22nd. We are in the process of planning a massive, collaborative garage sale to be held during the Dairy Princess Festival, Saturday, June 1st. Please stay tuned for more information as it comes together. This past week, I was chatting with a college student. When I asked what she was interested in, the conversation went from casual to intensely personal in a heartbeat. You see, she has no idea and is deeply worried about not knowing what will come after her four years of higher education. However, the thing that scares her most is that she isn’t even sure she wants to be in college, but is still thinking that continuing to get her Master’s is probably the next step. Whoa up! Someone who isn’t convinced that a college education is what she wants, is actually considering Graduate School? I would like to believe that this 20-year-old’s story is unique; unfortunately, I know it is not. The most unsettling piece is that she, a girl who has always followed all of societies requirements, did very well in high school, and met all her parent’s expectations, is suffering from pretty severe anxiety, and, during spring break, for the first time ever, was prescribed medication to deal with it. 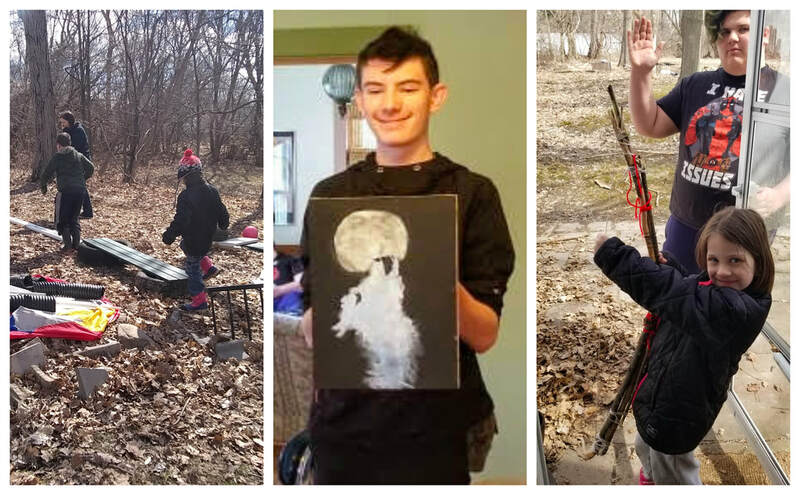 While we were talking, she mentioned that she felt like she had no option – her parents made it very clear, it was college or else. She also said that her perceptions of the world included choosing a career and sticking with it for her entire work life. You see, that is the environment she grew up in. Both of her parents, as well as most of their social peers, and relatives, have been doing the same thing their whole adult lives. They are all living a planned-out life according to cultural norms. When I told her, in so many words, that she has been sold a line of bull, and that she actually could deviate from this precisely planned path, she looked at me with an expression of awe, which quickly turned to dismay, terror, and then back to, what I would like to think, hopefulness. She thanked me as she was leaving. My only wish is that this interlude prompts her to explore the world of possibilities, beyond that tiny little box that had been presented to her. What many don’t quite understand is that another word for plan is control. We try to force those things we think are right (read, normal and accepted). I will always argue that mapping out your life (or even your day) can only lead to angst and eventually acute disappointment. I won’t even get into the proven importance of free play and spontaneity for the development of young (and, let's be honest, older) minds and bodies. We all need the freedom to explore, ponder, and create, to our hearts content, without time limits or a schedule. Why do you think self-help books, life coaches, retreats, yoga classes, self-actualization and mindfulness workshops are hot commodities? Or, for that matter, why harmful addictive behaviors have ramped up exponentially in the last few decades. People are looking for ways to escape from their overly, planned lives. The Yogis have always had it right – live in the moment. Be spontaneous! Be content! Simply, sit back and be open to all the possibilities that present themselves - right now. Do not try to force what doesn’t feel right. Trust that your life has a purpose and that you will be guided, where you are most needed, to provide your most honest, talented self. Everything else will fall into place when you are living authentically. No rigid, constraining plan required. Note: This doesn’t, in any way, mean that you should be lazy or shun effort. In fact, I am saying the opposite. Hard work can, absolutely, be joyful, fun, fulfilling, and exciting, when it comes from a place of truth and genuineness, and is accompanied by a willingness to share your passion with others. Deep Root Center only has a few openings for next year. Please get in touch if your child is interested in following their interests and exploring a world of possibilities within a safe supportive community. No one at Deep Root Center will force you to do something you don’t want to do. Not only that, we don’t, and, won’t tell you what you should do, either. Which is exactly what we mean when we say DRC is a non-coercive educational environment. We believe that everyone, even the youngest child, is capable of making unique and positive choices that speak to their interests and aspirations. Deep Root Center provides, every single person who walks through our door: mentors who care deeply, a vibrant, respectful community, the facilities, supplies, and resources to study and/or create anything they can imagine, and talented, local folks who are willing to share their skills and knowledge. DRC also offers the safe space where you can make mistakes and move on with a new and profound understanding of yourself. You can only gain the full advantage of all those things; however, if you are committed to being fully present with a positive attitude about the other people here and the opportunities offered. Despite the above disclaimer written in very large font (no small print here to intentionally confuse, or deceive you), as well as the explanation presented during the initial meetings, some students don’t quite understand that at DRC we expect them to take charge of, not only, their education, but their life. Even after being with us for a while, they are oftentimes rude and disrespectful, refuse to engage with the community, and respond to, “how can we support you?”, “what do you want to do?” or, “what are you interested in?” with either a blank stare or an, “I don’t know,” accompanied by a shrug of the shoulders. In addition, they either ignore suggestions or respond negatively to every single one, without, attempting a constructive conversation. This is not an attempt to judge or play the blame game; I do believe this behavior is most likely related to apathy and hopelessness as described in last week’s post. Nevertheless, I have come to realize that, in truth, what some are seeking is an escape from reality and from responsibility – a literal “get out of school free card.” Surprise! Deep Root Center is not that place! It simply is not what we offer here. It is the complete opposite. DRC is the real world – an educational space where everyone, who wants to, can learn and grow. It is where you will be supported to make decisions that affect your life and where we will hold you responsible for all of your choices. Therefore, as much as I would like to say, “Yes, Deep Root Center is for everyone,” it plainly is not. It isn’t for those who want an easy way out, are chronically apathetic, or are looking for a place to wile away their time until they turn eighteen. This is not the place to sit and wait for something to happen to (or, for) you. And, if you are seeking an environment where you will not be held accountable for your actions (or, in-actions), DRC is not it! To put it quite simply, if you are here (or, checking us out) for any of these reasons, you will be sorely disappointed. However, if you are seeking a place where you can be creative and curious, explore and make mistakes, get your feet wet, both figuratively and literally, follow your dreams and spread your wings - with a community of folks who will support you, unconditionally, in all of those things --- please get in touch --- we are the perfect place for you. In the end, as with most endeavors, what you get out of DRC depends fully upon what you put in. It is totally up to you! Summer isn't that far away! 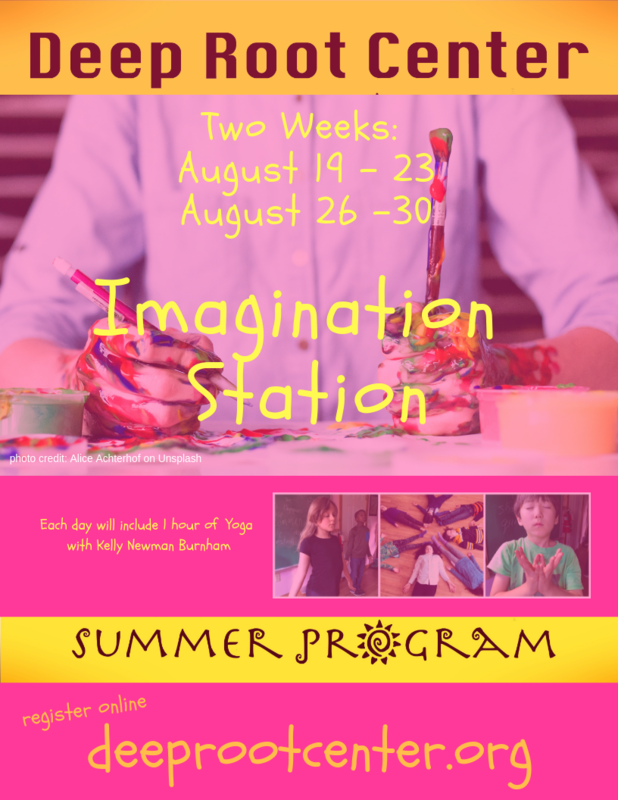 Register your child for Imagination Station, DRC's Summer Program - the last two weeks of August.